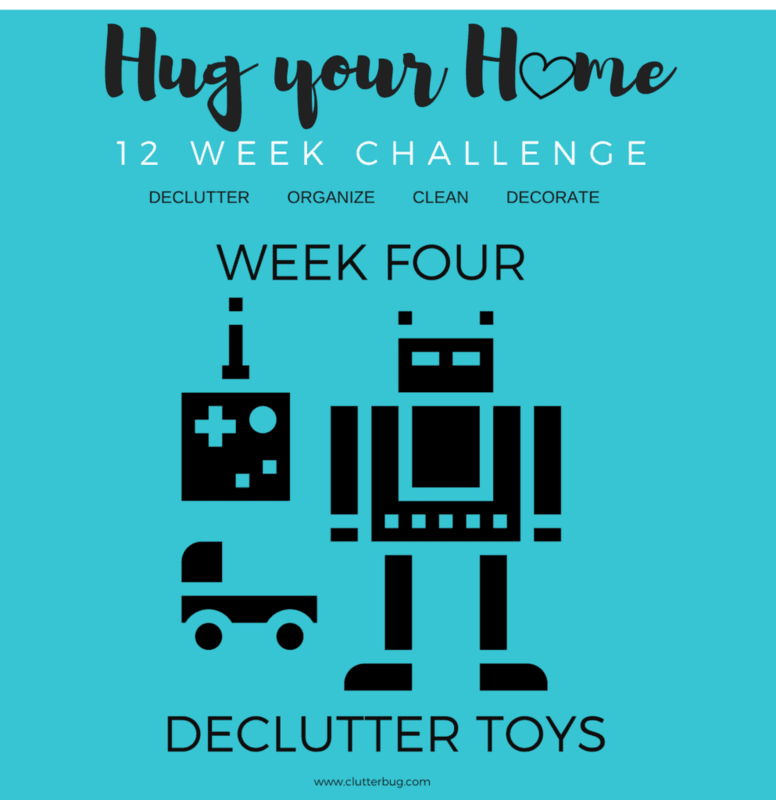 It’s already week 4 of our “Hug Your Home” challenge! Crazypants! I’m already seeing a difference in my home and I hope you are too. 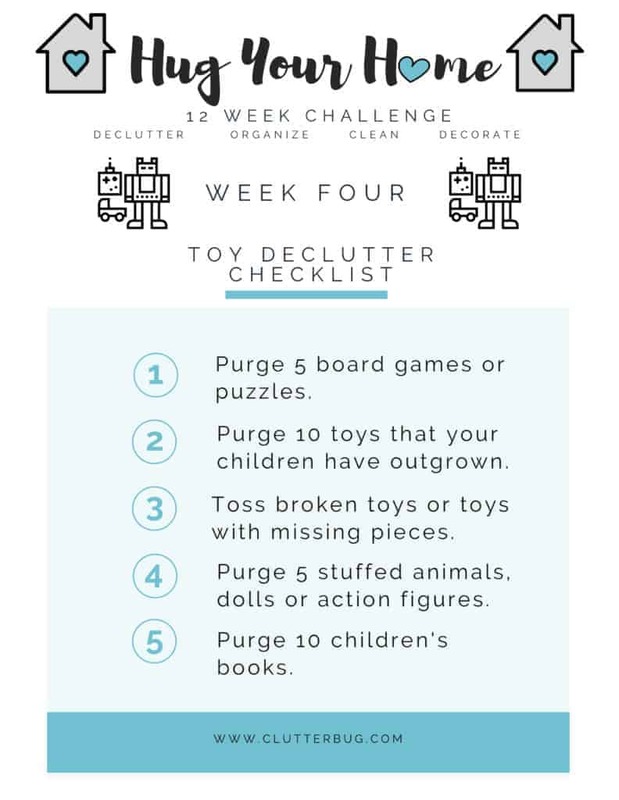 This week we are decluttering children’s toys. This video will be up on my YouTube channel and you can download the free printable and follow along.